The District IT (Information Technology) Department may "dump" or Delete your work whenever they need to. 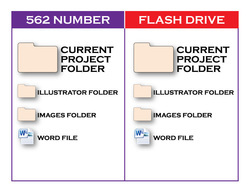 The procedure for SAVING your FILES is diagrammed below. 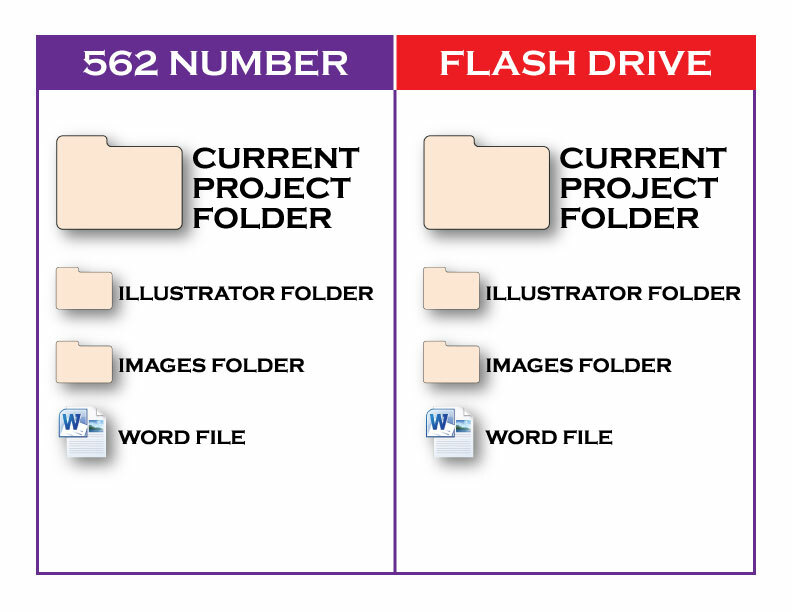 on the computer onto your own Flash Drive. This will be one of our Classroom Procedures. You will also be graded on your knowledge of this procedure. a MAIN FOLDER to keep things organized. - even if we don't use them all. Please don't put "X" as I have - that's just to indicate you would put the number of the period we meet there. NOTE: I sometimes abbreviate the name of the Project by removing the Vowels (SvngFls) if the name is really long. 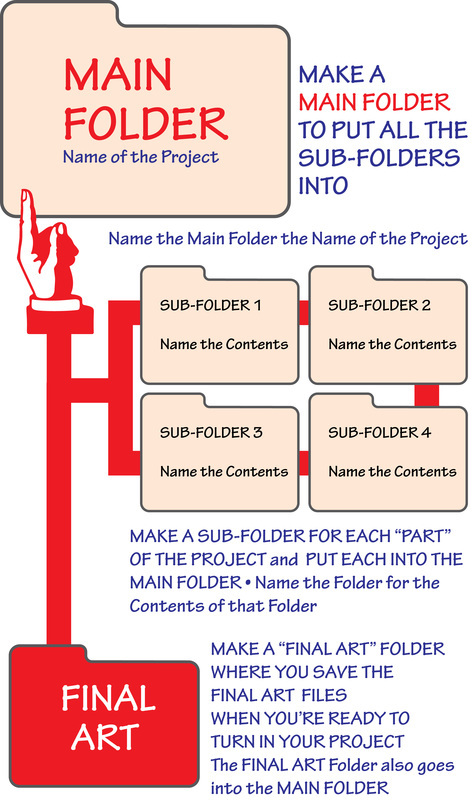 DOWNLOAD, PRINT, STUDY AND SAVE THIS DIAGRAM - YOU WILL BE TESTED ON THIS . .
You will be using this File / Folder Saving Procedure throughout the entire school year. Please Study this Diagram. Then Download the File (see below). Please follow this procedure for each Project we do.